It’s been roughly two years since Missouri quintet Foxing released their debut record, The Albatross, and its been two years within which that record has come to be acknowledged as one of the most important alternative releases of recent times. It’s a record I’ve listened to gratuitously, an ever-present constant in my life, and one I turn to frequently and somehow fall in love with all over again. The Albatross took the band from Count Your Lucky Stars Records to Triple Crown, to tours with Brand New and Seahaven, to the libraries of thousands of music-lovers just like myself. With ten songs Foxing became the band to watch, and they’d perhaps be forgiven for taking their time in following them up/ Two years with The Albatross has never felt like a two year wait, but now the band are back with their second LP, Dealer, and with it they develop and dazzle in equal measure – always enthralling, never disappointing. Compared to The Albatross, Dealer is much more streamlined in nature, more decisive in terms of its chosen genre, but there remains an adventurous quality throughout which sees the Midwest-based band explore and grow, drifting away somewhat from the shifting, at times discordant style established on their debut in favour of calmer seas composed with indie grace and emotional post-rock power. 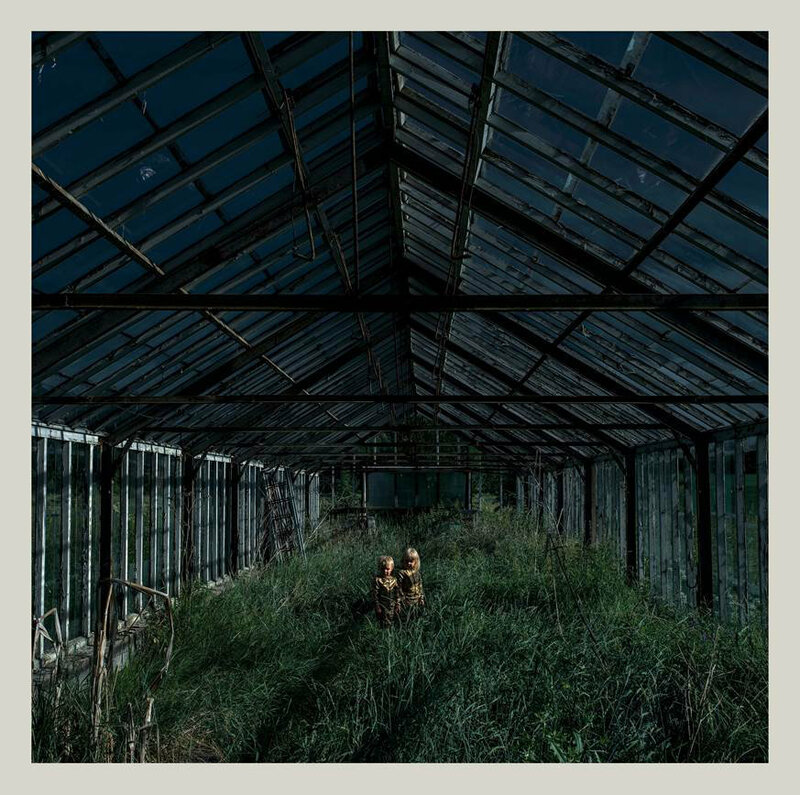 Gone is the angst which bristled on Bit By A Dead Bee Part.1, and Dealer sounds much more comfortable, more emotionally stable, as if the band have aged and grown in the two years between releases, wearying but not waning. Maybe the progression / settling stems from the collective doubts the band had prior to recording Dealer in an isolated Vermont cabin; maybe there’s some anxiety following the overwhelming positive reception to their debut (‘drained out a tunnel in an albatross / now I’m haunted by the bird’ Murphy sings, perhaps haunted by that record on enigmatic opener Weave), but whatever the reason for the bands adult consistency this time around, it never hinders the outcome. Dealer is a much more grounded, grandiose and accomplished piece of art than its youthfully tormented predecessor. In losing some of its bite, taking its time, it unfolds and unravels delicately across a wide plain, a twilight expanse mostly undisturbed. Dealer is a dreamlike, starlit slipstream taking on a particular shape musically and then flitting outside of it as tracks float by, the boundaries established more solidly than on their debut but not quite concrete. It’s a lake beset with constant ripples, the sonic waters warm and cocooning, rarely tumultuous or tsunamic, and Dealer washes over a listener in velvet waves, tranquilising in its calming embrace. It’s blissfully easy to get swept away in the majesty of it all, the tide rushing out and rolling back in at a steady pace. If The Albatross was the emphatic, soaring emotional epic, then Dealer is the bobbing boat below. It doesn’t take long to notice how Foxing have honed their sound on their second LP. Opening track Weave immediately feels different to Bloodhound, although not enough to alienate fans of the latter. It’s textured with depth, vocalist Conor Murphy’s introspective inflection contemplative where he was longing two years back. It’s fuller, rising to a peak, and it sounds like the right way to start a sophomore record, the older brother to the first, the order further established by lead single The Magdalene which finds the band sounding more assured and composed than ever. It presents a hazy, heavenly blend as angelic vocals glide alongside a spacious, ribboning backdrop in bloom, lush evergreen bright and vibrant. From these earliest entries though, its third track Night Channels which truly stands out, emotionally impacting as morose pianos and nostalgic lyrics give rise to a stomping, pained ecstasy towards the end, the repeating pleas of ‘Future love, don’t fall apart’ conjuring blunt heartfelt trauma akin to Rory at its debasing best. Dealer rarely feels loud in the way that this song is, and it’s one of the following, softer selections which resonates with volume, and that track is the fifth, Indica. There’ve been plenty of instances across the bands relatively short discography where a line has struck a chord, but here it’s an entire song, the track devastating as lyricist Josh Coll writes influenced by his time spent with the military in Afghanistan. He addresses ‘frames and faces I’ve mistaken for kids whose lives I may have taken / and if so, do I haunt their parents dreams?’, later going on to pen the lines ‘and it breaks my mother’s heart to know I came back broken / with the thought of my arms spilt open’, honest, and honestly harrowing. It’s as dark as the record ever gets, complemented by instrumentals which start off slightly Jesus (Brand New), sombre single guitar notes leading into a full band funeral procession. It’s exceptionally expressive and powerfully poignant, lingering like the stench of smoke after the fire’s been put out. Elsewhere, the records lyrics are spiritual and mystical, poetic and pensive, with Murphy manipulating them how he sits fit, and making good choices. His delivery is rarely aggressive and he instead pushes himself towards a vocal prowess hinted at on The Albatross (Bit By A Dead Bee Part.2 primarily), hitting high notes on the towering Eiffel (sorry) and yelling harsh on preceding song Glass Coughs, a firm highlight. I couldn’t help but feel that he reminded of The Weeknd on Laundered, and with the records throbbing ambience it did bring to mind his Trilogy of releases, a strange yet somehow fitting comparison, Foxing in their zone, thankfully without Drake. A lot of credit has to be given to the lyrical and vocal aspects of the record, but Dealer also excels instrumentally, highlighted on sprawling sixth track Winding Cloth, which draws to mind the likes of This Will Destroy You and Sigur Ros as it progresses minus vocals, marking Dealer’s midpoint with some room for quiet reflection. It’s one of two instrumental tracks on the record, with later, weakest entry Coda bleaker in tone, the dark into which the diving bell mentioned on Eiffel has descended into, and not too much more, a thick, dense somewhat unnecessary track pulsated by a reverbing hum which leads into contrasting final track Three On A Match. Dealer closes with its most vulnerable entry, apologetic as Murphy laments ‘for what we did my love, I’m sorry’ in a candlelit cloister, ‘survived by the weight of’ his own sins. It’s loosely tethered, threatening to float away with the faintest breeze, and the fragility of it all cripples, ending things suitably subtle and exposed considering the records tone, one which is mournful and melancholic throughout. It’s a quiet finish, but not an underwhelming one, immensely affecting as it fades, the light dimming. Dealer is a multifaceted, complex record, flowing from start to finish almost seamlessly, some tracks distilled into the next, and a lot its charm is is intensified by the fact that it sounds absolutely beautiful. I’ve played it constantly through headphones which cost me a solid two months of my wage, and every single time I’m left stunned into submissive silence. Grandiose and sparsely cinematic, the production is sublime, meaning that Dealer hits the sweet spot time after time, song after song. I have Goosebumps just thinking about spinning it again as I write this. Like all great records it gets under your skin quickly, cutting to the core, and it stays there long after its dwindled into darkness. It paints pictures, seeming to seep outwards into the world surrounding it with a gentle, laboured caress. I write beside an open window, and Winding Cloth was much like the sky I saw outside, cloudy, with the occasional flickers and glimpses of light amidst the grey. Redwoods conjured an autumn dusk beside my desk with its October dusk appeal; Indica made me wish for rain, a chill to leak into my room with a view. When I reviewed The Albatross around this time in 2013 I noted that it was fit for the fast-approaching Winter season, and I could say the same of Dealer, although I’d find it more compatible with falling Autumn leaves, everything golden yet wilting somehow. Played in a dark room it casts kaleidoscopic lights into the darkness; played outside it stirs up images of thin grey fog rolling in to blanket sepia fields. Night Channels plays out overlapping images of a sandy shore at midnight, I’m reminded of Death Cab For Cutie’s Transatlanticism and I feel alone if not truly alone, feel the waves lapping at my feet and the sea breeze tickling my skin. Music, to me, has never been just music – it’s always meant more, sounded like more, and Dealer is so much more than the sum of its plaintive parts. I love Foxing’s second LP, just as I loved their first, and I expect I’ll listen to just as often as The Albatross over the next two years, if not more. Maybe I’m being overzealous, fanatical when it comes to my review, but I’m pretty sure I mean what I’m writing, as abstract and biased as it reads. There’s deliberate feeling behind my words, just as there’s deliberate, essential feeling behind every sound you hear on Dealer. When I hastily wrote about The Albatross in 2013 I rushed my write-up of it, and although said review turned out alright, in retrospect I don’t think I did that record justice. If I’d waited, taken my time with the band’s debut, eventually I would’ve realised that I valued it as highly as the likes of Brand New’s Deja Entendu and The Menzingers’ On The Impossible Past (two of my favourites), but instead I wrote an average review of an exceptional record. I’m not sure I need to wait with Dealer, it’s already up there, timeless, and I’d like to think I’ve done better with my jumbled thoughts this time around. Having given it room to grow I’m left with a release which I find expansive and absorbing, as well as thought-provoking and refreshingly entertaining, hugely rewarding on several levels. I had high expectations followed the bands landmark debut, and they’ve been met with ease by a release that exhibits significant maturation and growth. Here, you have one of 2015’s finest records, almost impeccably dealt.